There are so many books, videos and courses claiming to be the be-all-end-all authority on good writing, it’s hard to know what is worth your time and what’s not. That’s why I’ve put together this list of some of the best books for new copywriters and content marketers. These books will give you an excellent foundation and provide the the highest ROI time-wise on effective and persuasive writing. While some of these books were written in the pre-internet era, the general principles they contain are true for online writing as well, and remain as applicable today as they’ve always been. 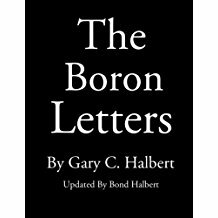 The Boron Letters, by Gary C. Halbert. Written by one of the most successful direct-response copywriters in history. The book consists of a series of letters Halbert wrote to his son while serving a brief prison sentence. In each letter, he outlines principles that led to his enormous success in marketing and just life in general. The explanation of learning how to be “student of markets” is worth the price alone. One of the reviews for this book claimed that it offers the kind of information “you’d normally only get if you were born into a wealthy family”. I couldn’t agree more— fantastic read. Triggers, by Joseph Sugarman. 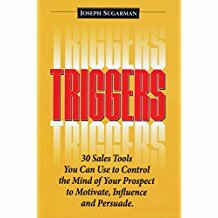 This is a fascinating list of 30 psychological “triggers” that are proven to make prospects more receptive to your offer. You’ve probably read about some of these principles before, and if you’ve ever bought a car, it is almost guaranteed that they have been used on you. Absolutely mandatory for anyone working in persuasive writing or sales. 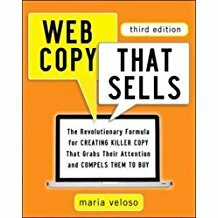 Web Copy That Sells, by Maria Veloso. Excellent book copywriting specifically for the internet. Does a great job of highlighting the key differences between effective offline and online writing, and outlines strategies for success with everything from website copy, landing pages, email campaigns, script writing for YouTube videos, social media and more. 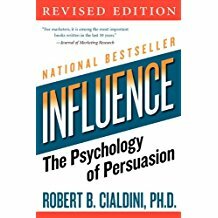 Persuasion, by Robert Cialdini, PhD. Robert Cialdini was a college professor and psychologist who was sick of being duped and manipulated by salesman, and wanted to find out why they were so successful at making a chump out of him. He spent years researching the tactics of business and interpersonal persuasion and outline his findings in this book, where he describes how people can put the tools of persuasion to use, and you can protect yourself from others who are using them in unethical ways. This book, is not written specifically about content marketing or copywriting. 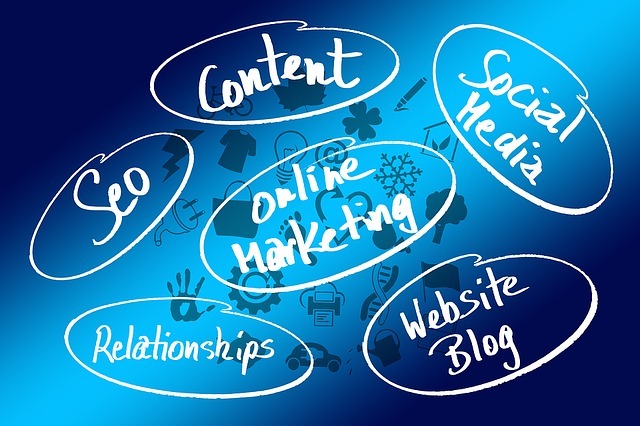 Rather, it provides a macro-level overview of what makes all forms of marketing effective. Cialdini outlines 6 principles that form the foundation of any effective marketing campaign or sales pitch. Must read. 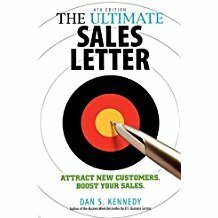 The Ultimate Sales Letter, by Dan Kennedy. Considered one of the definitive texts on writing effective sales letters. Old school, long-form sales letters were traditionally the domain of the offline, direct-mail world, but much of the principles here are also applicable for writing good landing page and email copy. 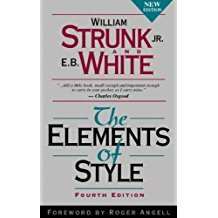 The Elements of Style, by William Stunk, Jr. Sometimes less is more, and this is doubly true when it comes to writing. This book will teach how to communicate most effectively in written form, and prevent yourself from falling into the trap of being excessively verbose and losing the reader’s interest. 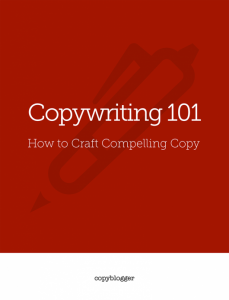 One the quickest ways to learn how to write good content is to go through Copyblogger’s extensive library of free ebooks. Each PDF covers a specific topic like headlines, content marketing, SEO and more. You’ll just need to create a free MyCopyblogger account in order to access them. There are many great resources out there about how to become a more effective writer, but this little list represents of some of the best books for new copywriters and bloggers. Starting with these will give you a solid foundation of knowledge to build on, but the most important thing is to START WRITING. Just as you can’t learn to ski by reading a book about it, you can’t really learn how to write well just by reading books. You’ve got to put it into practice and find your own voice. Whether you’re trying to write attention-grabbing copy to make a sale, or trust-building content for an Inbound campaign, these books will help put you in the right direction.